Researchers suggest that there is a new possible effective way to treat an alcohol dependence. According to a small study, inhibition of the enzyme, which leads to synaptic dopamine levels decrease, may be a novel way in fighting alcohol abuse. The name of the enzyme is catechol-o-methyl-transferase (COMT). Usually, COMT-inhibitors are used for the treatment of patients with Parkinson’s disease. The study of using entacapone (COMT-Inhibitor; brand-name: Comtan, developed by Orion Corp.) for alcohol dependence showed great results: during 12 weeks of treatment, about 88% out of 25 patients with alcohol dependence noticed anti-craving effects. Entacapone was approved by Food and Drug Administration as the medication for Parkinson’s disease treatment in combination with levodopa and carbidopa products. 10 patients out of that 88 % were very much improved (improvement for all the study period and 44.5 years old average), 3 patients were much improved (for two months, average age is 41), 9 patients were slightly improved (one-month improvement, average age is 32.5) and only 3 patients did not have any improvements (average age is 28.3, male). Those 10 most improved patients agreed to continue treatment for half a year and none of them had a relapse, according to Dr. Shafa. As for side effects, all of the patients had a urine discoloration, two patients felt nausea and one patient had a palpitation. The study results were presented at 22nd Annual Meeting & Symposium of American Academy of Addiction Psychiatry (AAAP). Furthermore, there were not any kind of serious adverse effect caused by using entacapone along with a commonly used psychiatric drug. You can read more about adverse effects of drugs mix in this article. The Principal investigator, scientific director at MetroWest CNS Research Center in Natick, Massachusetts, Dr. Rahim Shafa, told that the study was the first of its kind to show a use of COMP inhibition as a potential method of alcohol dependence treatment. He also added that he would like researchers to think out of the box. That would help them to find some new ways of treatment of alcohol dependence. The researchers noted that for a long time there was a need for non-habit forming and tolerable compound for resolving the issue of hypodopaminergic state, which people with addiction or dependence have. They said that in their study patients mental craving and cue craving were effectively counteracted by entacapone. They explained, that consideration of dopamine pathway in addition to a common pharmacologic treatment of alcohol dependence, offers an alternative way. The common treatment is based on opiate receptor effect and so means an interaction with glutamate system. The new strategy of treatment can use both ways combined or independently. Dr.Shafa added that this concept should be examined with placebo-controlled and double-blind studies for better understanding. He states that the advantage of this medications is its safety and side-effect absence. It is important because the medication could be used for patients with mental illnesses along with their medications. He also reported about new studies, conducted to use the same way of treatment for other types of craving, like chocolate and sugar ones. According to researchers, there are about 18 million of U.S. residents who had alcohol abuse issues in the period of 2001-2002. Only 1.8 million of those people looked for a treatment and even fewer than one million people received a therapy. 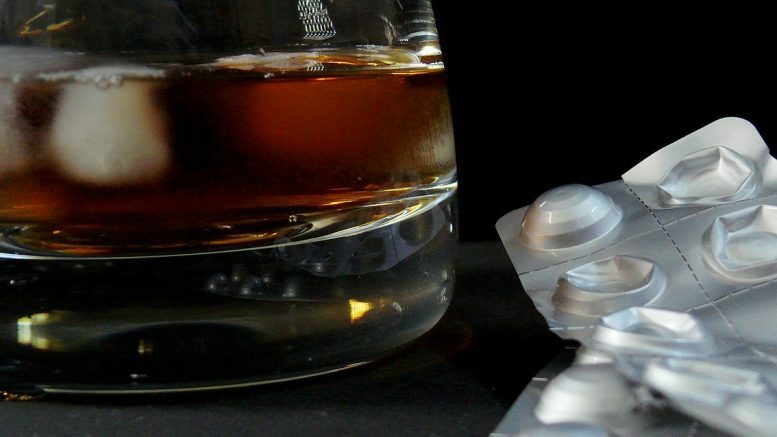 The investigators wrote that the National Institute on Alcohol Abuse and Alcoholism (NIAAA) strongly recommended pharmacotherapy and called for new drugs to decrease the relapse rate. In 2008, Dr. Shafa reported about results of the study showing about 50% of patients were successful in their marijuana addiction treatment by entacapone. He explained that COMT-enzyme degrades available dopamine. He thought that any kind of craving is a result of low dopamine and when the levels of dopamine are lowering in the addicted system when drugs are out. When drugs are out of the system, the person feels the thirst for this drug or alcohol. By manipulating those levels of dopamine he and researchers managed to remove the wish of patients to look for marijuana and it was the same principle they used for alcohol dependent patients. Dr. Shafa noted that a lot of anti-craving studies in pharmacology in most cases exclude patients with mental illnesses, despite the fact that they are four times more likely to be alcohol dependent than people without any mental disorder, according to 2009 National Survey on Drug Use and Health. Dr. Shafa added that patients with mental illness with alcohol/drug dependence are more likely to have a high expression of catechol-o-methyl-transferase enzyme in their genes. For the study, 25 psychiatric outpatients with AD were enrolled. 64% of them were men. All of the patients were treated by common pharmacologic treatments in the past without any success. The patients received 1600 mg dosage of entacapone daily for 12 weeks as the addition to their medications. A patient interview and an alcohol ethyl glucuronide urine test were used by researchers as the measure of the patients’ relapse. The evidence of overall improvement on CGI scale was decreased craving during one month of treatment or total abstinence of craving for the same period. Be the first to comment on "Alcohol Dependence Could Be Treated With Parkinson’s Disease Medication"